In addition to her work in accounting and auditing, Julie has assisted her many clients with financial reporting, accounting and cost controls, systems, business planning, mergers and acquisitions, financing, cash flow analysis…not to mention tax planning and projections. She also represents clients before the IRS and State of Connecticut. 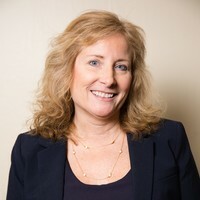 In recent years, Julie has taken the lead role in managing the on-call contracts for the Connecticut Department of Transportation. Specifically, her duties include performing and/or reviewing project cost audits, burden fringe and overhead audits, final payment audits and utility relocation project audits. Julie is a member of the American Institute of Certified Public Accountants and the Connecticut Society of Certified Public Accountants, where she served on the following committees: Federal Tax, Continuing Professional Education (chairperson) and Community Service. She is also a former member of the American Society of Women Accountants. Julie received her Bachelor of Science Degree in Accounting from the University of Connecticut.